First Line: "It's just that he promised," says Martha Milano, pale eyes flashing, cheeks flushed with anxiety. Detective Hank Palace was out of a job until Martha Milano, a woman from Hank's past, asks him to do something. With the Concord, New Hampshire police force being directed by the U.S. Justice Department, solving crime is a thing of the past. With only 77 days until a gigantic asteroid collides with Earth and ends life as we know it, what officers are left on the force are patrolling the streets in an attempt to keep a lid on any potential rioting and violence. No cell phones, no computers, no electricity... and now Martha Milano wants Hank to find the husband who deserted her. Piecing together what clues he can find, Hank visits a college campus run by anarchists, and then makes his way to the coast-- where anti-immigrant militia members are kept busy fighting off the hordes of refugees headed to the U.S. 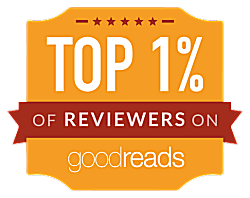 The first book in the Last Policeman trilogy deservedly won the 2013 Edgar Award for Best Paperback Original. 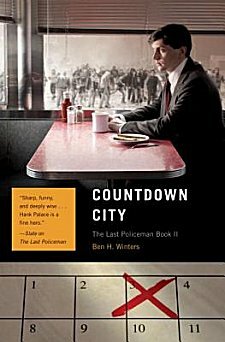 Countdown City follows closely in The Last Policeman's footsteps. 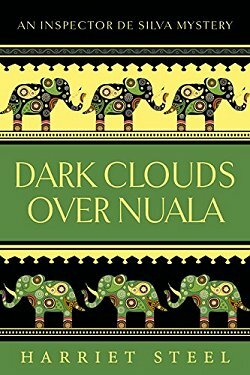 While the mystery is a good one-- full of twists, turns, and misdirection-- there are two things that lift Countdown City well above the run-of-the-mill whodunit: Ben H. Winters' vision of a world in its last days, and our vision of one lone man refusing to bow down to the inevitable catastrophe. Hank Palace is no fool. He knows what's going to happen in 77 days. But he's still going to be the best person he can be. He's still going to try to protect those closest to him. He's still going to keep any promises that he's made. He's made sure that he's got enough dog food left to last his adopted stray, Houdini, through to the end, and since he has such fond memories of his childhood babysitter, he agrees to search for her husband. Hank's the type of guy you want on your side. Not that he's John Wayne or Clint Eastwood, or Arnold Schwarzenegger-- he's not. But he's a good guy who'll always give 110% (and you don't have to worry about him stealing your last bottle of water when you turn your back). The vision Ben H. Winters has of this nightmare world can chill the blood because so much of it has the ring of truth. In a world where it's rapidly becoming every man for himself, self-proclaimed militia groups would protect "what's ours" by fending off the hundreds and thousands of boats filled with "impact zone" refugees (people who live where the asteroid is going to hit) that are arriving every day. Food, water, drugs, shoes, clothing, even toilet paper would be hoarded and killed for. Millions of people around the world would drop out to accomplish items on their bucket lists. Others would turn to religion, or stick their heads in the sand by joining anti-asteroid conspiracy groups. I'd love to say that Winters has got it wrong, but I've seen too many tweets, too many Facebook status updates, and too much of what passes for news on the internet. Winters doesn't have it wrong. The main branch of the Concord Public Library is open twenty-four hours a day at this point, kept clean and lit by a skeleton crew of librarians and a cadre of volunteers. 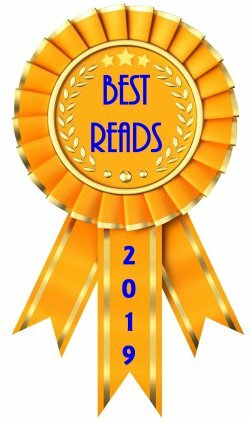 A genuinely good man as hero, a mystery in which many of the people aren't whom they seem to be, a fast pace and plenty of action, refreshing flashes of humor, and a spine-chilling vision of a world fast approaching Armageddon. Ben H. Winters has hit it out of the park again. Cathy - I'm so glad this one lives up to the promise of The Last Policeman. It's not easy to blend in that dystopic look at the future with a solid police story, but Winters has a lot of talent. I liked, but didn't love the first book so I passed on this one. It sounds like I made a mistake. Not necessarily. If the first one didn't "grab you by the throat," you probably made the right decision. I'm in love with Hank, at least the man I met in the first book. 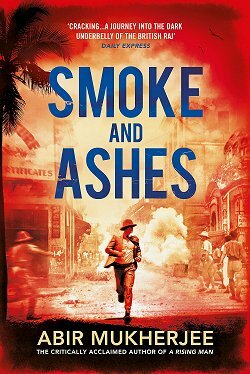 I'm really looking forward to this one, I have the ARC but haven't picked it up yet. I think it's a pretty safe bet that you'll still be in love with Hank. He's an amazing character.